In retrospect, I think the first signs of AS started about 25 years ago, when I was about 40 years old. I remember lying on the floor and my back was really stiff when I stood up. I never thought much about it as it would quickly disappear once I walked around. Around 55 I was getting frequent massages and physio to ease the muscle aches in my body. Oddly, an hour later when the massage ended I found my back so stiff that it was difficult to even bend over to dress myself. But, once again I wouldn’t worry about it, as it too would clear up once I got moving. Today I’m 64 and was diagnosed with AS in December 2013. I was recovering from a total knee replacement when I noticed my back was so sore. I thought if only my back felt better I could get more rest and recover faster. I struggled with that back for so long, not knowing why. It was so discouraging. I had pain not just in my knees and back but also in my shoulder, neck, feet, ankles and wrists. Everyone knew I had osteoarthritis but no one suspected that I had AS until my physician decided to not only re-test again for rheumatoid arthritis (it had been done previously) but also test for the HLA-B27 antigen. It was positive. I am now certain that I inherited AS from my mother. Although she was never tested for AS, she suffered lower back pain most of her life. She was totally bent over the last few years of her life. What a shame that during all those years it was considered a “man’s” disease. Before I started taking the biologic Simponi™ in February 2014 I was so exhausted. I’d be up for only an hour, determined to get out, but instead I crumpled back onto the couch. No matter how determined I would be I could not get myself out the door. I did not realize exhaustion is a big part of AS. One day I thought I was having a heart attack and called 911. It was negative but what was it? I felt so alone and isolated. I knew no one I could talk with. 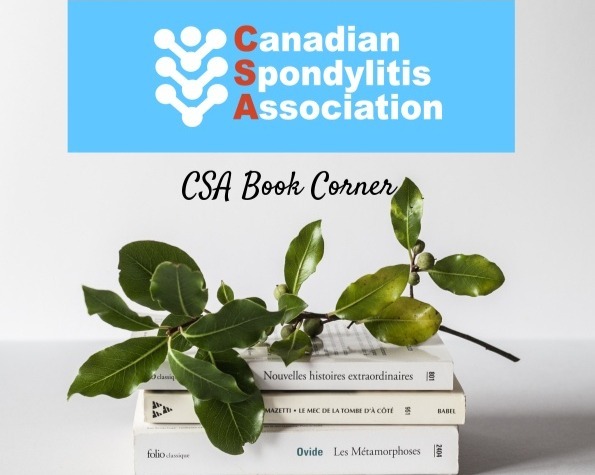 I searched the Internet like crazy, and came across the Canadian Spondylitis Association’s AS Patient Forum coming up at the Toronto Western Hospital. I had to go. They said they were sold out, but I insisted that I had to be there. The forum changed my outlook. I learned more about AS and it was where I met for the first time another lady who has AS. She told me her story, and mentioned that one of her symptoms was the feeling of having a heart attack too. What a relief that was for me. I finally felt understood. It meant a lot to me. I’m now on one Simponi™ injection every two weeks. I still have issues with osteoarthritis in my neck and knees, but the lower back pain and severe stiffness have disappeared. What a relief. I also no longer feel the extreme exhaustion I did before. It amazes me how few people have ever heard of AS, particularly nurses, physiotherapists, paramedics, and some doctors too. I wish I was tested years earlier. I wish my mother was too in all those years before she passed away. Today, I have a better understanding of her pain.